The Atlantic Nationals  the largest car show in Canada with more than 2,000 cars, tens of thousands of spectators and big-name celebrities  is the newest Great Race sponsor as well as the host for the Day 7 overnight stop in Moncton, New Brunswick, on Friday, June 29. Founded in 2001, the five-day event draws vehicles from every Province in Canada and most of the 50 states. 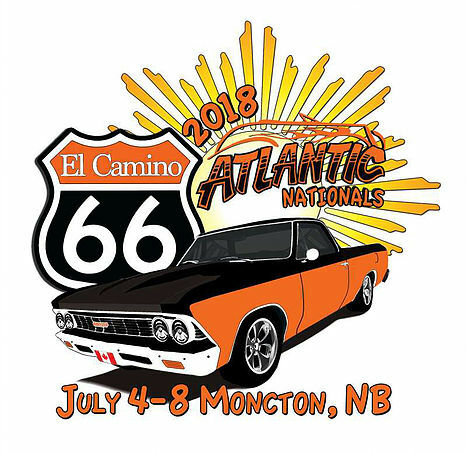 This year, the Atlantic Nationals will be held in Moncton July 4-8. The Great Race stop on June 29 will kick off the festivities with the overnight promotion at Riverfront Park on Assomption Boulevard downtown. Racers who return to Moncton on their way home after the Great Race finish in Halifax will be guests of honor at the Atlantic Nationals starting on Thursday. Each team will be receiving a package from the Atlantic Nationals in the coming weeks inviting them and outlining the festivities. Moncton is 160 miles from Halifax on the way back to Maine and the United States on the Trans-Canada Highway, making it a perfect fit for racers to work this bucket list event into their schedules after the Great Race ends. Be sure to brush up on your French as New Brunswick is the only official bilingual Province in Canada. Great Racers will have an interest in learning about the tidal bore that happens twice a day in the river next to Riverfront Park. Check out https://www.youtube.com/watch?v=lYPPuzcncBw for more information on this phenomenon. It’s nice to see the first price as modify 1966 Elcamino. I have one at home for 25 years. It was never modify. A 1966 Elcamino custom.